Keurig Green Mountain Inc (NASDAQ: GMCR) wasn’t the likeliest candidate for one of the biggest stock turnarounds of 2015. Just ask hedge fund manager David Einhorn, president of Greenlight Capital, who had been skeptical of the stock for years. According to an October investor letter cited by CNBC, Einhorn took a short position in Keurig at an average cost of $102 a share that, at one point, turned into the fund’s “third-biggest” winner of the year. Even a few weeks ago, Keurig’s shares had sunk to $52, giving Einhorn a theoretical 49% gain on the position. What a difference a day makes. Earlier this month, German investment firm JAB Holding announced its plan to acquire Keurig, a ubiquitious maker of self-serve coffee pods and brewing machines, in a deal worth $13.9 billion, a 78% premium to Keurig’s market cap at the time. The company’s shares shot to near $90, where they remain, as the deal appears to most investors to be a near-certainty. Keurig shares helped perk up other coffee-related investments. The Caffeine Fix motif, which has a 6.7% weighting of Keurig stock, has risen 4.8% in the past month. In that same time, the S&P 500 has slipped 0.5%. Over the past 12 months, the motif has gained 18.5%; the S&P 500 is up 1%. For Einhorn, whose fund still had a “small short position” in the stock at the time of the deal, according to the Journal, the unexpected wild card was the intention of JAB Holding to aggressively challenge Nestle’s global lead in the consumer coffee market. JAB has been chasing – and making — deals during the past three years to gain coffee market share against Nestlé. Until now, it had lacked an established pod machine to sell to consumers, particularly in Europe. “JAB clearly want to be the Anheuser-Busch InBev of the coffee world,” Pablo Zuanic, analyst at Susquehanna, told the Financial Times, referring to the Belgian-Brazilian group’s acquisition-led consolidation of the beer sector. It’s also no coincidence: JAB CEO Olivier Goudet is also the chairman of AB InBev, the world’s largest beer company which recently agreed to a mega-takeover of its main rival SABMiller. 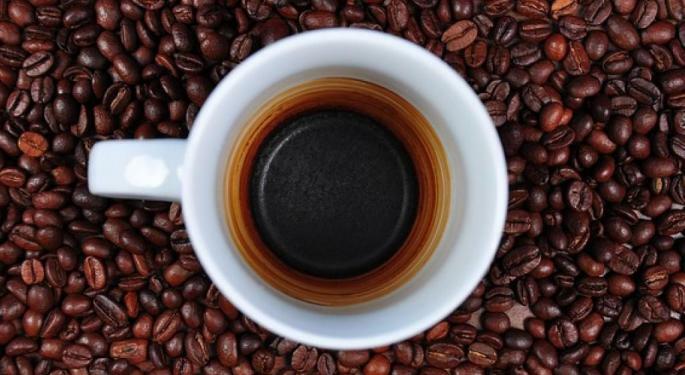 The Keurig acquisition follows a string of coffee-related deals for JAB. It bought US-based chains Caribou Coffee and Peet’s Coffee & Tea in 2012, then last year acquired the parent company of Einstein Bros. Bagels. This year, JAB acquired two upscale, niche players in the US — Stumptown Coffee Roasters and Intelligentsia Coffee. 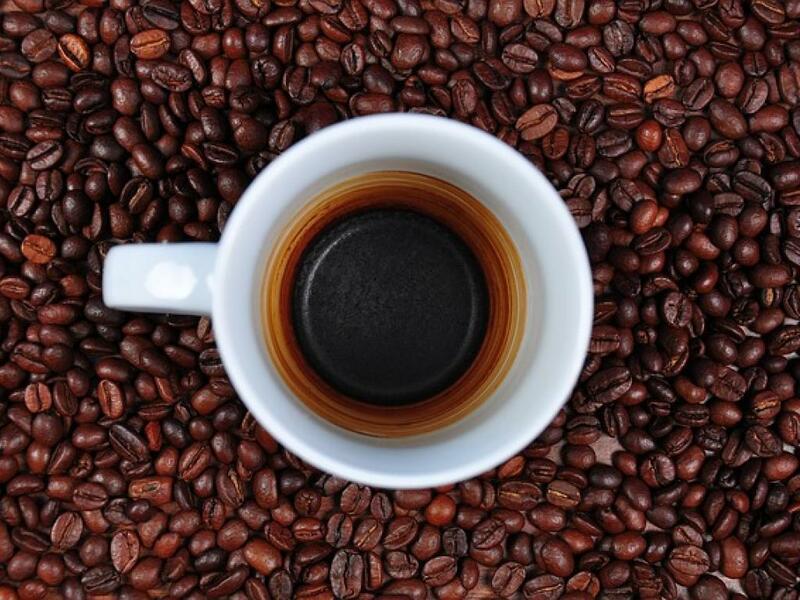 High-end or “specialty coffee”, which includes the coffee made from pods as well as artisanal drip brew, now accounts for more than half of all coffee consumed in the US. Sales of mid-market ground coffee, a mainstay of supermarket shelves for decades, have shrunk, the FT reported. But the takeover comes at a moment of weakness for Keurig. Despite having stocked US households and offices with more than 20 million of its personalized brewing machines, it has struggled to increase sales as competition has come from private-label pod makers. Keurig said last month that full-year net sales fell 4% from a year earlier, while profit dropped 16%. About 95% of its sales come from single-serve pods and various brewing machines, according to the FT. In response to stagnating numbers, the company pushed the development of a machine, dubbed Kold, that makes carbonated beverages in the kitchen and competes with SodaStream International Ltd (NASDAQ: SODA). The new product enticed The Coca-Cola Co (NYSE: KO) to build a 17.4% stake in Keurig, and on Kold’s launch in late September, it began selling pods for the machine from Coke brands, the Journal noted. Coke said at the time it paid roughly $91 a share for its Keurig investment. The acquisition by JAB would enable Coke, which has a 20% weighting in the Caffeine Fix motif, to reap a $25 million gain, according to the Journal. Though Keurig shares will eventually depart the stock market, the overarching consolidation strategy in the sector could benefit investors in other coffee stocks. The content contained herein is for informational purposes only and is not a solicitation or a recommendation that any particular investor should purchase or sell any particular security. Motif does not assess the suitability or the potential value of any particular investment. You are responsible for understanding the risks involved with investing in securities and for all investment decisions you make. Investments in small cap companies and companies within a particular sector involve additional risks unique to those companies which you should be aware of before making any investment decision. The information contained herein is obtained from sources believed to be reliable, but its accuracy or completeness is not guaranteed. Performance of motifs are for informational purposes only and is not not based on results you could expect to achieve. See how returns are calculated. Why Are Solar Stocks Beaming?